Last Friday, the movie Unplanned hit theaters. 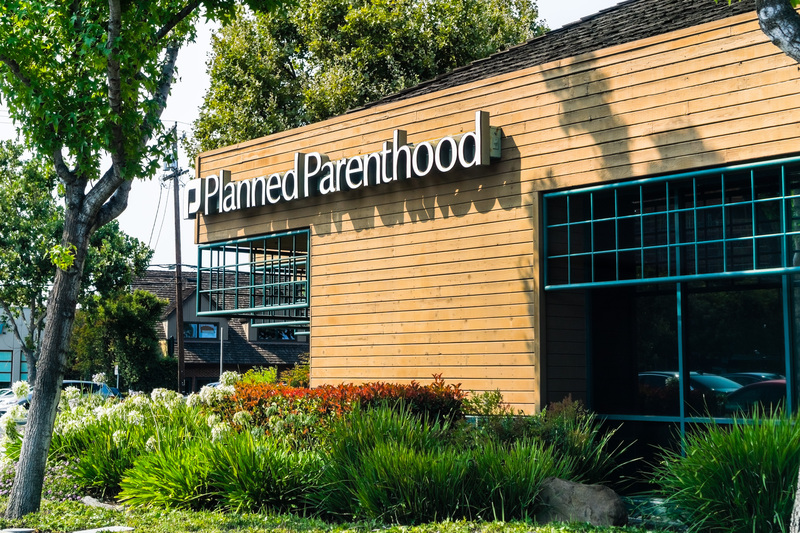 The biopic about Abby Johnson, one of the youngest clinic directors in Planned Parenthood’s history and their former employee of the year, gave viewers a rare glimpse into Planned Parenthood’s operations and the motivations of those who work there. As I thought about what I saw in the theater, I realized that it contains the key to defeating Planned Parenthood and making abortion unthinkable. But not for the reason you probably think. In an interview with Abby Johnson published by ABC News just two days before the film’s premier, she contrasted the care she provided to her clients at the abortion clinic with the care she provides now. She shared how a few weeks ago she met a woman who was 24 weeks pregnant and had an appointment for an abortion. Abby told her that she would do all she could to help her and her baby. Abby planned a baby shower for the expectant mother and, within 30 minutes of posting it on Facebook, the registry of more than 200 items was full. Pro-life people had rallied around this mother and her child, making abortion unthinkable in her life. This young mother’s story is not unlike Abby’s. As the film makes clear, Abby had heard countless times that abortion was murder. Her parents taught her scripture verses about the sanctity of human life. She’d even been told many apologetics arguments for why abortion destroys human life. Yet, she remained convinced that women and men facing difficult pregnancies needed abortion. That’s why she had two abortions herself and spent more than eight years working for America’s largest abortion provider. What changed her mind? In a large part, the compassion of pro-life people. You see, in Abby’s community, pro-life Christians rallied together to pray 24/7 outside her clinic for 40 days. This movement would later become 40 Days for Life. While other protestors came with graphic images and screaming angry slogans, these prayer warriors came with love and compassion – not just for the clients walking into the clinic, but for Abby and her fellow Planned Parenthood staff. Over time, they formed a relationship with Abby. Abby saw firsthand that these people did not just love and respect the unborn, but those who defended abortion as well. She saw that they were willing to do the hard work of helping someone overcome difficult circumstances instead of selling them a product disguised as a solution. The more Abby thought about it, the more she realized she was just a salesman. As time progressed, Abby became more and more uncomfortable with her job. When she was asked to assist with an abortion and saw a baby boy on the ultrasound monitor fighting to get away from the instruments coming to dismember him, she’d had enough. She left and went to those she knew could offer true compassionate help – the pro-life prayer warriors meeting on the other side of the fence. As I watched Unplanned, I kept coming back to the impact on Abby of people embodying the compassion, hope, and help of Jesus. I also realized that this is something that Planned Parenthood can’t compete with. Don’t believe me? Just look at their canned response to ABC News’ request for comments to Abby’s interview. Printed next to Abby’s moving testimonial, Planned Parenthood’s statement reads as cold as an abortion clinic table. And how can it not? Their own annual report shows that the primary service they give their pregnant clients is abortion. In fact, they perform 117 abortions for every adoption referral they provide, and 36 for every time they provide a prenatal service to a client. Unless pregnant women in the low-income areas often served by Planned Parenthood are 36 times more likely to need abortion then prenatal care, something is skewed in Planned Parenthood’s view of “compassion” for pregnant women. And they know it. That’s why they hate the work of pregnancy centers like those in Care Net’s network of affiliates. Every day, 30,000 staff and volunteers in our network of 1,100 centers provide clients with realistic alternatives to abortion and Christ-centered support. Since 2008, we’ve saved more than 670,000 lives from abortion and we have a higher client satisfaction rating than Netflix or the iPhone; 96% of clients are satisfied and would recommend their local clinic to a friend. They received real help with the difficult situations they were facing. Abortion doesn’t help someone get out of a bad relationship. It doesn’t make financial woes go away. It doesn’t take care of any of the root causes of their unplanned pregnancy. That’s why more than 50% of abortions are performed on women who already had a prior abortion. The “compassion” they received from Planned Parenthood did little to transform their situation or their lives. 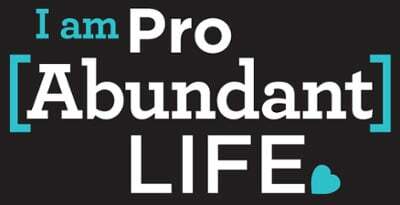 This is the argument Pro Abundant Life people can and will always win. Planned Parenthood can make the baby go away, but not the memories of the baby and not the situations that led to that baby’s creation. As their annual report shows, they barely even try. But we can and do address those root causes. We provide real compassion. And lives are saved now and for eternity. That’s what makes Unplanned such a threat to abortion. It’s not solely the unforgettably brutal scene of seeing a child ripped from its mother’s womb. It’s seeing that women and men facing desperate circumstances are being sold a bill of goods by a billion-dollar organization. The movie gives audiences a chance to have the same kind of transformational experience Abby did as they realize that parents facing difficult pregnancies need help and real solutions—things not found at their neighborhood Planned Parenthood, but freely given to thousands every day at pregnancy centers across America. That’s why, ultimately, we will win. *The movie "Unplanned" is rated R due to multiple scenes depicting the violence and graphic nature of abortion; therefore, Care Net recommends that anyone under the age of 17, and anyone who has personally experienced abortion, use caution when determining whether or not to see the film.